Before you drive a new car off the dealer’s lot, you may want to consider new-car replacement insurance. Say your car — your new baby — is stolen or totaled in an accident. Comprehensive and collision insurance, both typically required for the life of an auto loan, will pay out up to the car’s value, minus any deductible. But because new vehicles lose value quickly, that claim check will be less than what you paid for the car, leaving you in a financial bind with no ride. New-car replacement insurance, an option with some insurers, offers to ease the financial pain. It pays the value of a brand-new car of the same make and model, minus the deductible, if your car is declared a total loss. Applies only to newer cars. Is available only if you buy collision and comprehensive insurance. Who offers new-car replacement insurance? New-car replacement insurance isn’t universally available. Some of the nation’s largest auto insurance companies, including Geico, Progressive, State Farm and USAA, don’t offer it. And among companies that do offer it, new-car replacement coverage may not be available in all states. These companies describe their policies online. But others may offer new-car replacement coverage as well, so be sure to check with your insurer. Acuity Covers first 4 years of new vehicle ownership. Also available for motorcycles. Allied Applies to cars up to 3 years old; then is replaced by gap insurance. Allstate review Vehicle must be 2 model years old or newer. American Family review Covers first year of new vehicle ownership. Capped at 110% of manufacturer’s suggested retail price of original vehicle. Ameriprise Covers first year or first 15,000 miles. If new vehicle of same make and model isn’t available, pays up to 110% of the original vehicle's MSRP. Cincinnati Coverage must begin within 30 days of buying a new car with fewer than 1,000 miles on it from current or previous model year. Concord Group Coverage for first 12 months included at no extra cost. Can be extended up to 24 months after purchase. Erie review Covers the first 2 years. Can be added at any time before a loss. Farmers review Vehicle must be insured with Farmers upon purchase and be less than 2 years old or have fewer than 24,000 miles. Farm Bureau explainer Applies to vehicles up to 4 model years old (5 in some states). Hanover Covers first year or first 15,000 miles. The Hartford review Covers the first 15 months or 15,000 miles. Policies available only to AARP members in most states. Liberty Mutual review Vehicle must be less than a year old and have fewer than 15,000 miles. MetLife review Covers first year or first 15,000 miles. Nodak (North Dakota Farm Bureau) Vehicle must be no more than 2 years old and have fewer than 24,001 miles. Penn National Does not apply if new car is stolen or damaged by fire. Plymouth Rock Covers original owner's first 2 years of ownership, with upgrade packages available. Safeco review Applies to original owner of a car less than a year old. Shelter Covers first year or first 15,000 miles. Included on all Shelter auto policies. Travelers review Covers first 5 years of new vehicle ownership. Does not apply if car is stolen or damaged by fire or flood. Also includes gap coverage and lower deductible for glass claims. Pricing varies by driver, vehicle and state, so some companies don’t provide cost details. 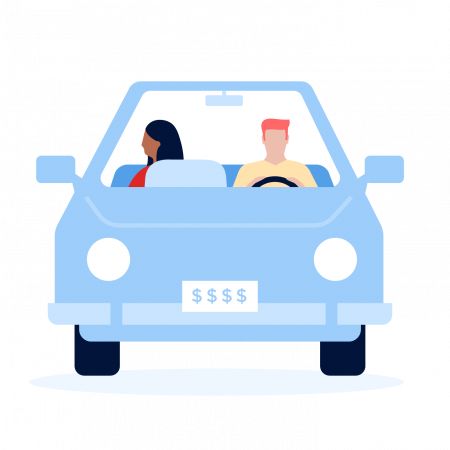 To give a rough idea, Travelers says its new-car replacement coverage, which also includes gap insurance and a lower deductible for glass claims, adds about 5% to the price of the policy. So if your Travelers policy costs $100 a month, you’d pay an extra $5 a month to add new-car replacement coverage. Some insurers, including Concord Group and Shelter, include new-car replacement coverage at no extra cost; other companies bundle it with a package of upgrades. The only way to get an accurate price is to get quotes from insurers. New vehicles start losing value before the new-car smell wears off. Consider a Honda Accord EX purchased new in 2017 for the $26,530 sticker price. On average, 2017 Honda Accords lost 22.2% of their original value in the first year, according to Edmunds, the car information and shopping platform. If an accident totaled the Accord at the one-year mark, ordinary collision insurance might pay $20,640 — the value after depreciation — minus the policy’s deductible. By comparison, if the car had been covered by a new-car replacement policy, the insurance might pay $27,470, minus the deductible. That’s the sticker price of a similar 2018 Honda Accord. 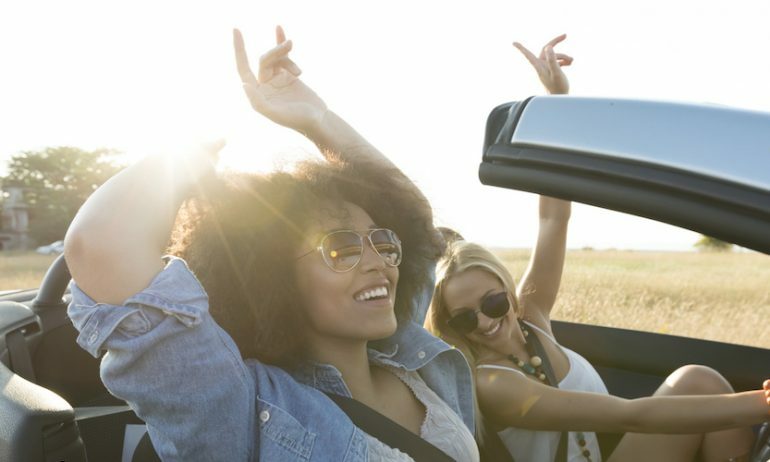 The optional better-car replacement coverage at Liberty Mutual, for example, will pay you the value of a car that’s a model year newer and has 15,000 fewer miles on it than your totaled vehicle. It’s available for cars of any age. While new-car replacement insurance can help you buy a new car, gap insurance is designed to make sure you can pay off the old one. If your car is totaled or stolen and your collision or comprehensive insurance doesn’t cover what you owe on the car’s loan or lease, gap insurance pays the difference minus any deductible. Prices vary, but generally gap coverage costs a few dollars a month, according to Esurance. Understand the terms and conditions. Depending on the insurer, gap coverage might be available for more years than new-car replacement coverage — beneficial if you have a loan. Get quotes to compare the costs of gap insurance and new-car replacement coverage, especially if you owe more than the car is worth. If you skip gap or new-car replacement coverage, make sure you have enough in savings to both repay a lender if the car is totaled and make a down payment toward another car. If you do opt for new-car replacement insurance, be sure to cancel it once your car is over the age limit or mileage specified by your insurer. Otherwise, you might end up paying for expired coverage.